The Cassini spacecraft looks across Saturn's cloud-dotted north and shadowed pole, and out across the lanes of ice that compose its rings. Prometheus (102 kilometers, or 63 miles across) is visible between the A and F rings near the center of the image. 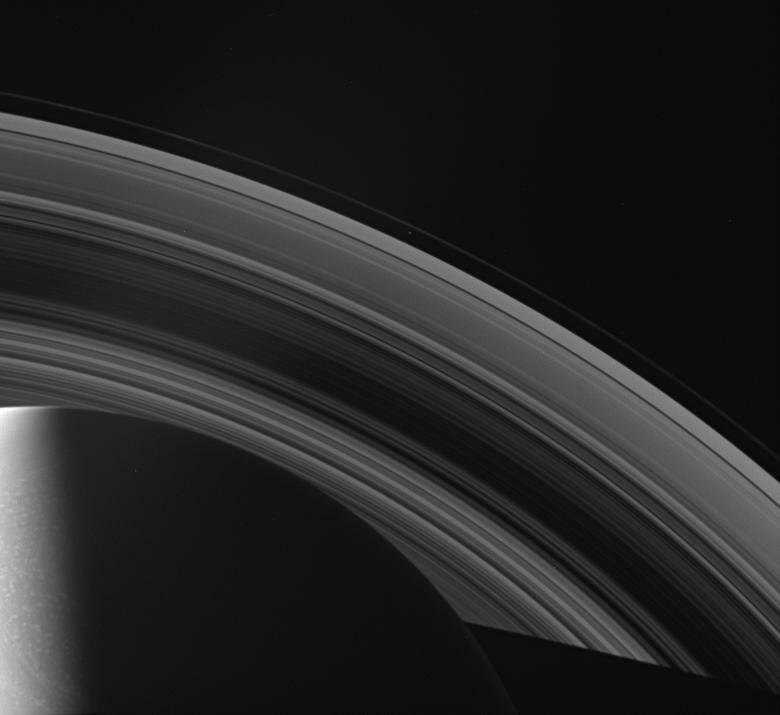 This view looks toward the unilluminated side of the rings from about 42 degrees above the ringplane. The planet's shadow stretches toward the lower right corner. The image was taken in visible light with the Cassini spacecraft wide-angle camera on April 1, 2007 at a distance of approximately 2 million kilometers (1.2 million miles) from Saturn. Image scale is 119 kilometers (74 miles) per pixel.